Shinjuku received 2 new craft beer shops in a span of a few months in early 2016. I visited both of them in April 2016 and really enjoyed both. 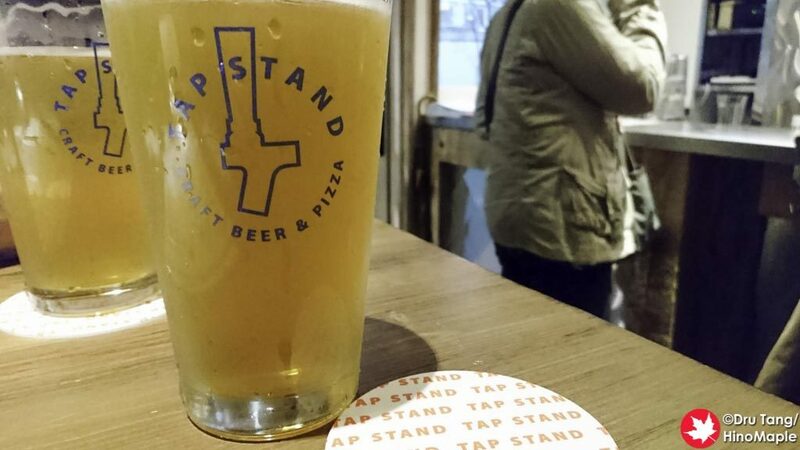 Tap Stand is a beer bar that specializes in beer and pizza, or so they say. The place was pretty busy at times and in a great location. Getting to Tap Stand is really easy. If you head out of the south east exit, head down the stairs and along the elevated street on the left side. Tap Stand is just a block away on the left. Once you get to the entrance, you get a sense of the theme of the place in that it is a little rustic with a lot of wood. 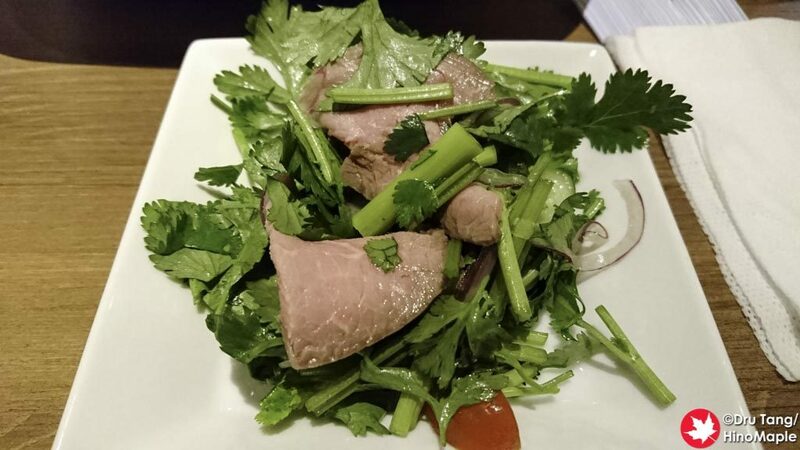 It is somewhat of a modern western style restaurant. The place is a bit noisy with the music but it was really busy when I entered and it was full. The service in Tap Stand is good enough for what it is but it wasn’t great. The servers were young and relatively inexperienced, but the managers were not much better either. The worst part of the experience was that I was sitting at a table for 6 people, and possibly 1 more in the aisle. I was with the Saviour and there was another group of 4 next to us and they wanted us to push down slightly so they could possibly cram another person in. At that time there was a lot of space at the main counter and free seats at the tables, so I was annoyed that they wanted to cram us further into the table so they could cram people into a small area rather than using the open space around them. Regardless of the idiotic sense of cramming people into small awkward places, the food and beer were pretty good. It appears that they are getting a little on board with the hipster food movement, but not very far. The salads come out in casserole dishes and the serving saucers were terrible for eating pizza. The salad was really fresh and good and the pizza was also really delicious. I felt like this shop was trying to look unique but ended up doing little things that just annoyed me. The beers at Tap Stand were good. I cannot complain when they have a really good selection of both Japanese and imported beers. 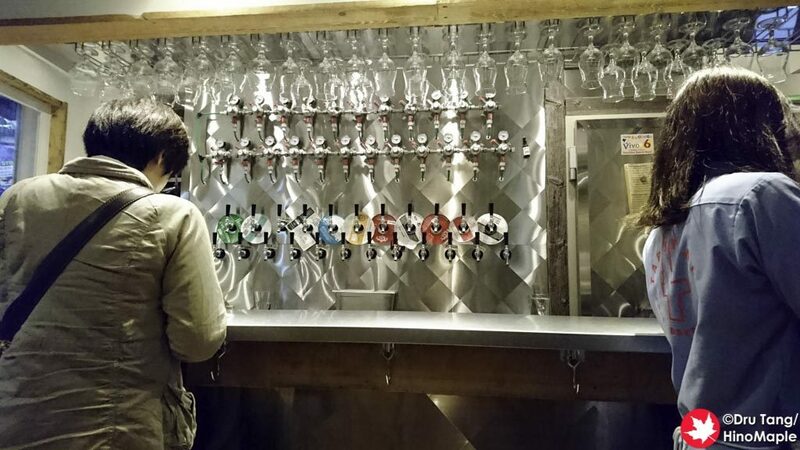 With a total of 20 beers on tap at any given time, there was more than enough to keep me happy. Generally they keep about 10 imported beers and 10 Japanese beers but this may change. Thankfully the beers came out full and quickly. Tap Stand is a good place to visit and I would like to go there again. 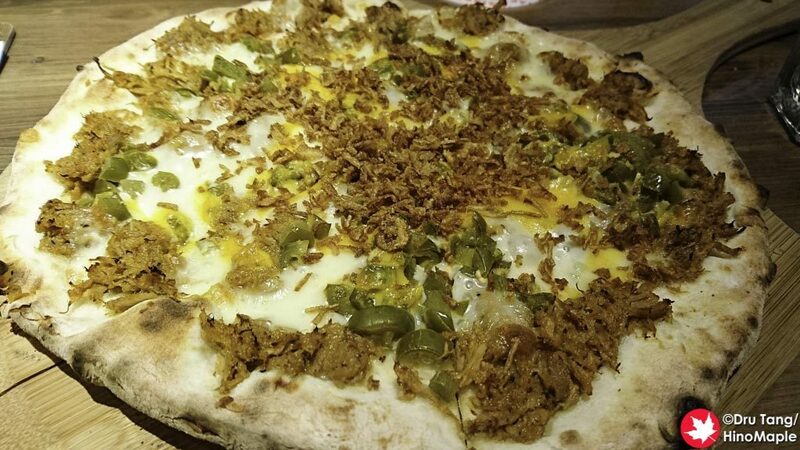 The pizzas are good and I’m sure the other dishes are also good. I really think they need to rethink how they operate as they have everything needed to be a great place. Once they focus more about their customers’ happiness, rather than increasing business, they will have a great recipe for success. I hope that changes and you can be sure that I will become a regular there. 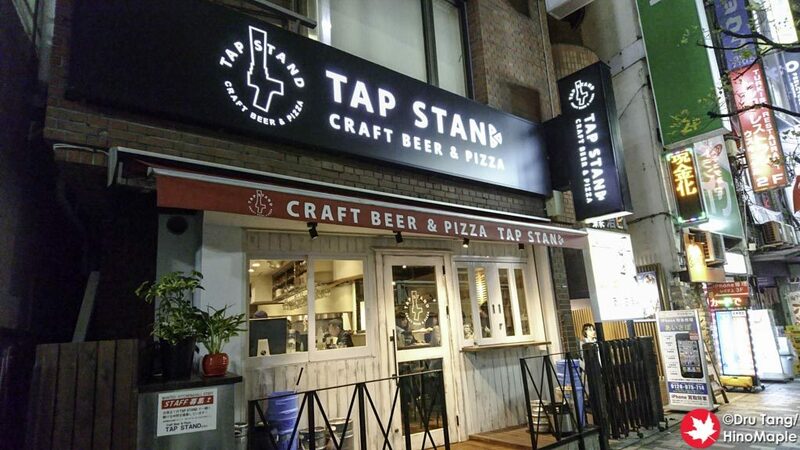 This entry was posted in Tokyo Food and tagged beer, craft beer, japan, pizza, Shinjuku, Tap Stand by Dru. Bookmark the permalink.